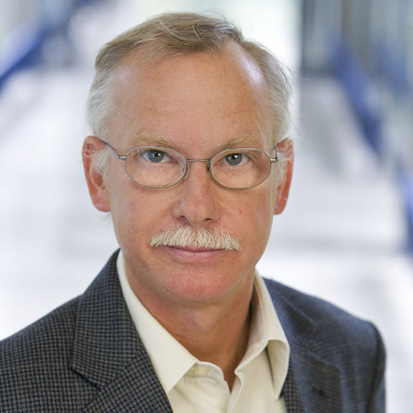 F Ulrich Hartl (Director, Max Planck Institute of Biochemistry, Martinsried) took his Vallee Visiting Professorship sabbatical at Stanford University in September/October, where he was hosted in the Department of Genetics by Dr Judith Frydman, a world leader in the field of chaperone-assisted protein folding and cellular protein quality control. The ultra-modern BioX building (Clark Center) was where Hartl settled in for six weeks along with his wife and colleague Dr Manajit Hayer-Hartl, who was also on leave from the Max Planck Institute of Biochemistry and at Stanford to collaborate with the group of structural biologist Dr Wah Chiu. Hartl’s main scientific interactions were with Judith Frydman and the members of her group whose research interests closely overlap with his own. Their many conversations offered various opportunities for collaboration and coordinated activities between the Stanford and MPIB groups on projects connected to protein folding. 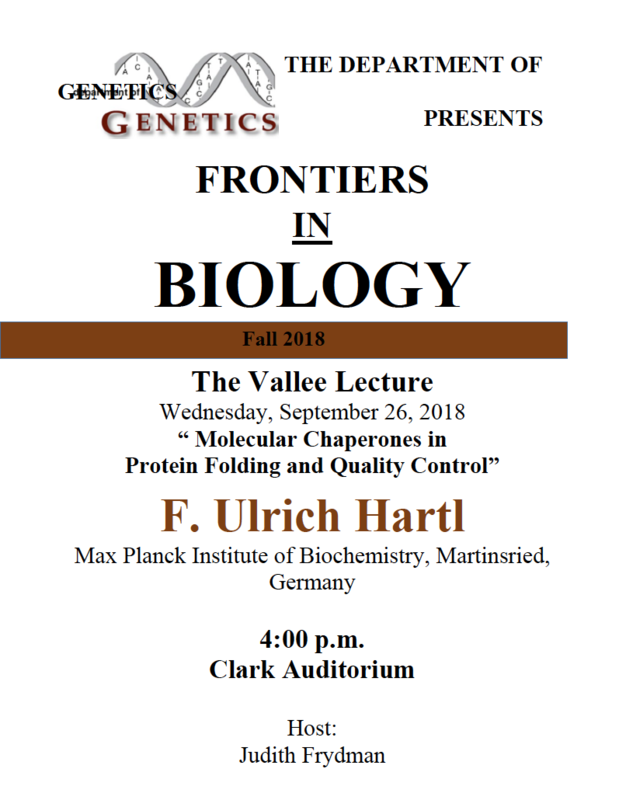 A large audience attended Ulrich’s Vallee Lecture, which formed part of the Frontiers in Biology lecture series, and was entitled “Molecular Chaperone Functions in Protein Folding and Quality Control.” The lecture agenda comprised meetings with several scientists as well as a particularly enjoyable lunch meeting with students and postdocs. Indeed, it is often the social activities where friendships and fruitful connections are formed. The Hartls were overwhelmed with invitations to lunches and dinners as well as a most enjoyable sailing trip on the Bay.